The Southern Shorts Film Festival "Fill er Up" campaign was a success. Thanks to all that contributed!! Films are coming in and party plans are being made. Purchase premiere tickets soon as seats are limited. This is a "must see," "can't miss" event. I would like to thank all of the sponsors of the Southern Shorts Film Festival. If it weren't for them we could not of had the Festival. Make a tax deductible donation here. Any amount - you choose. Donations are used to fund downtown improvements and projects. Joining Spirit of Athens is easy! Joining Spirit of Athens is easier than ever! We are now able to accept memberships via PayPal. Just follow the links below for safe secure payment options. 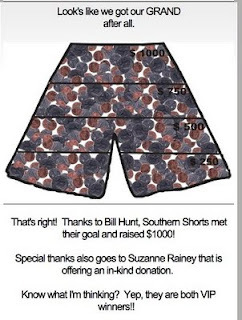 What's up with Southern Shorts in October?